This time we talked with Kei Karlson, the co-founder of GoWorkaBit. Kei has one of those awesome bubbly personalities that can light up the room so it’s no wonder that her ideas of changing the world aren’t small ones. Add to it her enthusiasm, hardworking and straightforward nature in which she leads her startup venture and you’ll understand why we decided that she and her startup are worth their very own special emoticon ((work)) as a tribute. This is a true startup that works hard and plays hard! GoWorkaBit (GWB in short) is a web application which connects companies that need extra personnel for their short term assignments with people who want to choose where and when they work. Our Story started in a Garage48 hackathon in October last year. I had been working in Manpower as an HR consultant for almost 7 years and saw that more and more companies needed just-in-time hiring solutions. They had situations where there was suddenly an urgent need for extra help, but, even for a well-established staffing agency like Manpower, it took far too long to find and select those people. How many people in the team and where are you located at? 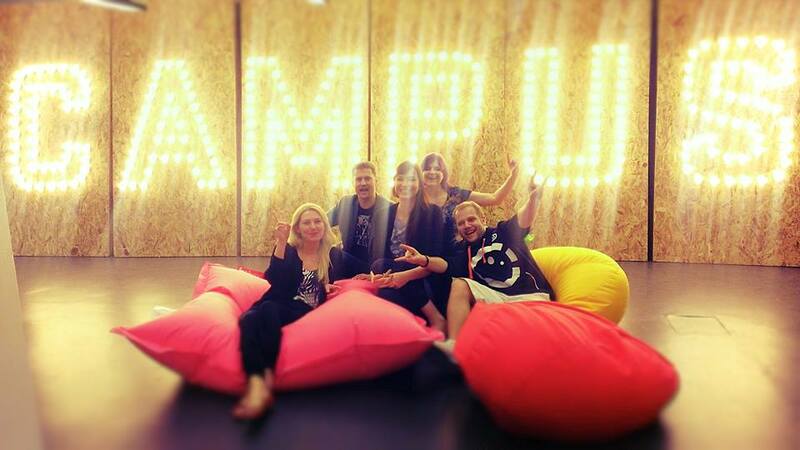 Today we have 8 people in our team and we have offices in Tartu and Tallinn. GoWorkaBit has over 17K users in Estonia who want to work a bit and more than 400 companies have decided to join us. Our mission is to change the way people work and companies use workforce. Work is so much more than just earning money. It’s about meeting new people, trying yourself out in new roles and having fun. If you have a choice how much and where you want to work, it can be all that. GWB participated in Estonian TV show “Ajujaht 2014” and Fleep did a demo at one training event last year. We decided to try it, but as we had just few people in our team all mostly working on the same thing and Skype was more suitable for everyday chat, we did not use Fleep for a while. A few months later, we had a ton of documents to share and keep in one place, several topics that needed various levels of attention by different people and we needed a way to organize all the communication between 8 people. For that Fleep turned out to be very comfortable. We have different chats for our most important subjects, like Sales and Marketing, Dev, Support and we pin our weekly to-do lists for each subject so it´s really easy to follow the progress. I personally love Fleep mobile app – it’s easy to use and always in sync. It’s like you have your whole team in your pocket! Any Fleep tips you’d like to share? Kei was right, having a lot of chats does make us happy, but it makes us happier if the active users of our group chat application use Fleep to boost their productivity rather than let it create an extra layer of distractions. Stories such as Kei has about her startup are not your usual ones and we’re very happy she decided to share this with us! But this is not the only story from our users, if you’d like to get more stories like this in the future as well, feel free to follow us on Twitter (#fleepstories) or Facebook and check out the rest of the stories.